The University of Bologna (Italian Alma Mater Studiorum Università di Bologna, UNIBO) is the oldest continually operating degree-granting university in the world, and the second biggest university in Italy. 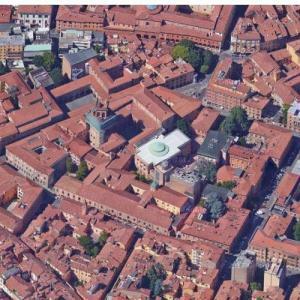 It is located in the city of Bologna. The University of Bologna was the first university founded in the western world (AD 1088) and since 2000, its motto has been Alma mater studiorum (Latin for "fostering mother of studies"). The university received a charter from Frederick I Barbarossa in 1158, but in the 19th century, a committee of historians led by Giosuè Carducci traced the birth of the University back to 1088. The University celebrated its 900th anniversary in 1988, making it arguably the longest-lived occidental university. The University of Bologna is historically notable for its teaching of canon and civil law.